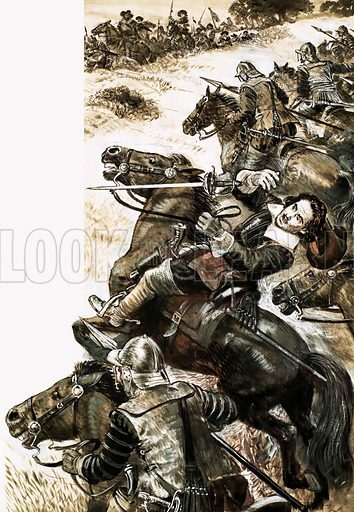 John Hampden was terminally wounded during the English Civil War. From Look and Learn 561 (14 October 1972). Available worldwide for immediate download up to 3,325 x 4,813 pixels.